Used for large weddings of 160 to 190 people. Excellent for large beer gardens or larger cocktail parties. 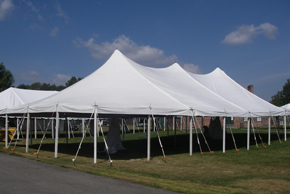 Suitable for dividing into 10′ x 10′ vendor spaces.